Technology is transforming the retail and shopping experience in many ways. What does the future hold for online and offline commerce? 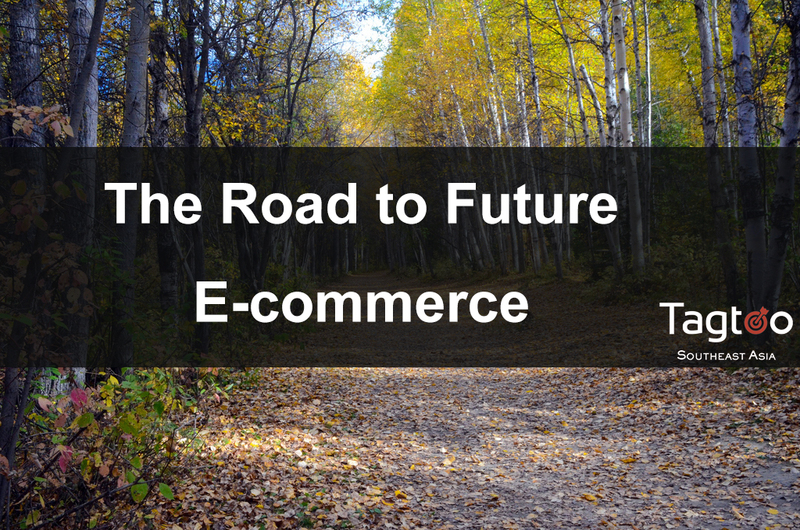 The future of e-commerce will see a drastic change in every aspect. Customers, and the whole industry itself, are evolving. However, this might send tidings of catastrophe for every e-commerce merchant, because it could interrupt their initial deployment and growth plans. With that said, e-commerce outfits can make the cut as long as one swiftly catches up with the latest trends and become agile. Here are some thoughts. Thanks to the advancement in technology, customers in the future will be able to enjoy a variety of convenient delivery approaches. Some retail giants or major technology companies have been working on the revolution of delivery, such as Amazon’s drone and Otto’s driverless car for some time now. They have made significant inroads into alternative delivery methods, also offering more diverse, cross-channel pickup options. On the contrary, the current harsh race in shipping products within shorter shipping times or lower cost would be transformed into another level, because instant access to products with free shipping is going to become the norm. In other words, pursuing delivery speed will lo longer be the difference that solves customer demand. More creativity in solving buyers’ convenience will be the next battlefield in e-commerce. Even if customers just place orders with either mobile devices or laptops, as usual, they actually want more entertaining interactions and engaging experiences. Online shopping will not maintain the traditional concept of buying and selling at all. More and more interactive elements will be involved in the next generation of e-commerce. Take Augmented Reality (AR) for example. With fashion and retail e-commerce platforms, customers can easily visualize what they will look like with the clothes they are choosing before they actually check out. AR provides a more stimulating shopping environment, especially if it can simulate the feeling of being in the changing room, trying on outfits virtually without leaving the comfort of one’s home or office. Next, e-commerce will also integrate social impact. For instance, this can include charity donations, which can help increase engagement among customers, especially those who want to make a small difference for others, in their own way. Thus, even if an e-commerce purchase only contributes a few cents or dollars to a good cause, it can bring out a sense of personal and societal fulfillment. If e-commerce owners can manage and design campaigns with a social element, there’s no doubt that doing business with their platforms will be more attractive in the eyes of customers, making online shopping more interesting and appealing. The internet-of-things is upon us, and this includes various devices and sensors that send and receive data across a wide variety of applications. For example, Bluetooth Low Energy beacons (BLE beacons) is becoming pervasive, which can deliver real-time, well-suited, and occasion-oriented marketing messages. Such a targeted approach makes it easy to connect the online with the offline worlds. In the following years, companies will be able to set up specific messages broadcast to customers through BLE beacons, which will incentivize impulse purchases. Businesses can further provide a seamless and contextual brand experience to customers for an effective omni-channel marketing approach. IoT will dramatically enhance the effectiveness of contextual marketing, enabling customers to engage with brands and businesses through more and more touch points. This only means one thing: The retail and shopping journey are no longer linear. With multiple channels and mediums, the path for e-commerce platforms is full of twists and turns. Technology will help e-commerce platforms stand out from the crowd, though. Business selling infrequently used or non-personal products would feel a hit in the following years due to the growing mindset in the sharing economy. For example, the launch of Airbnb dealt with idle and rarely used rooms or properties. The emergence of different types but with similar concepts of business models thrives all around, dramatically disrupting several industries and facilitating innovative ways to deliver services or products. Customers simply pay for the usage rather than ownership of the product. Unsurprisingly, this trend will cause a huge impact on e-commerce and interfere with existing models. Another notable trend is the growing power of manufacturers. Nowadays, the majority of manufacturers are considering or launching private labels to get a higher profit margin as a way of business transformation. More and more manufacturers or ODMs will join this increasingly harsh battle, fundamentally changing how brands compete for user attention. As retail business owners turn to e-commerce to expand their reach, users will also get more used to online shopping. Will this mean that users will be less willing to visit brick-and-mortar stores due to some inconvenience? Frankly, we do not know the correct answer, but what’s sure is that physical stores will need some transformation, in order to enhance the customer experience. The role of physical stores will be changed according to their purpose and location. In essence, physical stores situated in premium locations will mostly be used to showcase products and let customers immerse themselves with the actual product and inventory. On the other hand, store sin isolated areas might require a different logic. Most of the inventory is best kept at major distribution centers, with the store only acting as an additional touch point for customer engagement. One possible scenario is that physical stores will become fulfillment centers for item pickups. The click-and-collect model has been relatively common in the UK and is expected to keep growing elsewhere. One of the famous examples is the partnership between Argos and eBay, which allows eBay buyers to pick up their items at any one of Argos’ 750 stores, offering an alternative to shipping or postal service. There is no doubt that physical stores, whether in metropolis or suburbs, will still sell products. However, the boundary between the online marketplace and the offline physical store is becoming blurry.